The illustrations are breathtaking. They are one of my favourite things about this book. The story is simple. A gardener who loves gardening. But no matter how hard he works, he finds that there’s a lot to do, and he’s not seeing the results he wants. The one thing that keeps him going is a flower. An absolutely beautiful flower. This flower represents hope. Metaphorically speaking it’s a great reference, but how much of that complex message kids will absorb, is really up in the air. 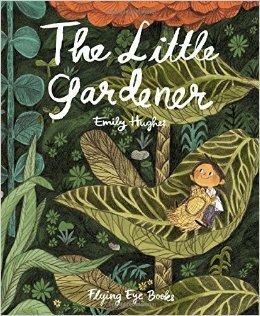 It seems that every time you read The Little Gardener, you may be enlightened with a new message. Kids will love to marvel at the pictures, but whether they will manage to stay captivated by the narration will be something that you will have to discover for yourself.